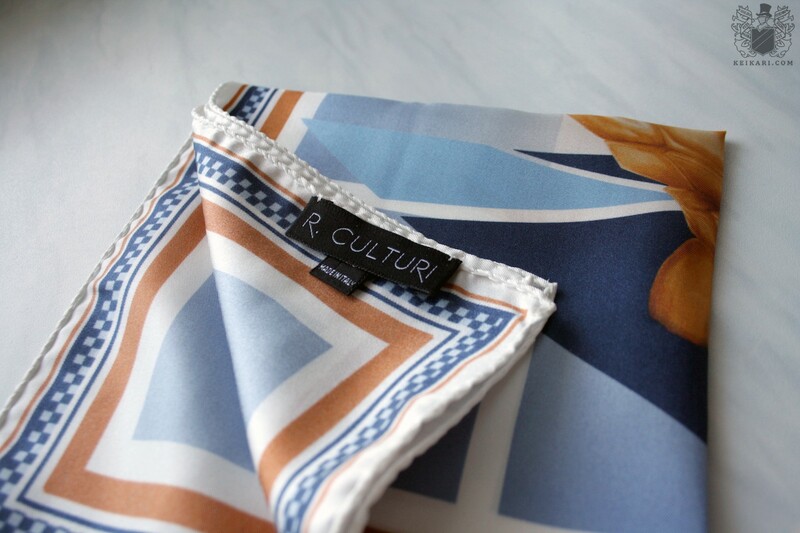 R. Culturi accessories | Keikari.com R. Culturi accessories | On classic men's style, elegance and the beautiful life. 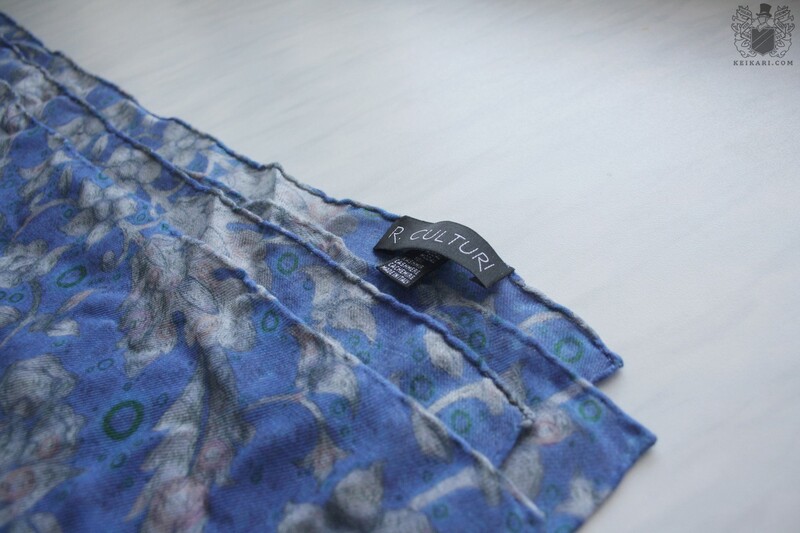 R. Culturi is an accessory webstore founded in 2015 by Anthony Brovchenko and his wife. Unlike most stores, RC’s wares are unique to the company as the printed designs are original pieces from artists around the world. The company collaborates with each artist on their respective pieces and has them made from start to finish in Como, Italy. 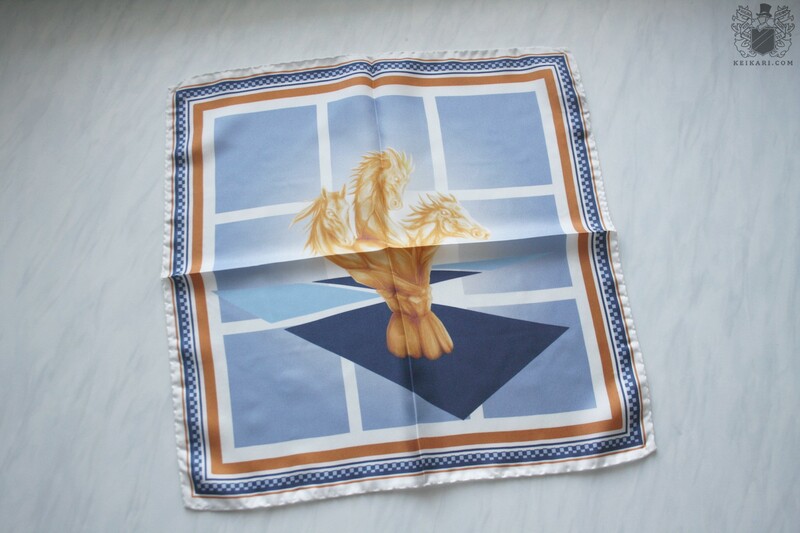 The current range covers pocket squares, ties and scarfs with prints from various artists around the world, from Finland to Mexico, and with hand-rolled edges on the finished accessories. R. Culturi’s blog features interviews with chosen artists along with links to their online galleries and biographies. 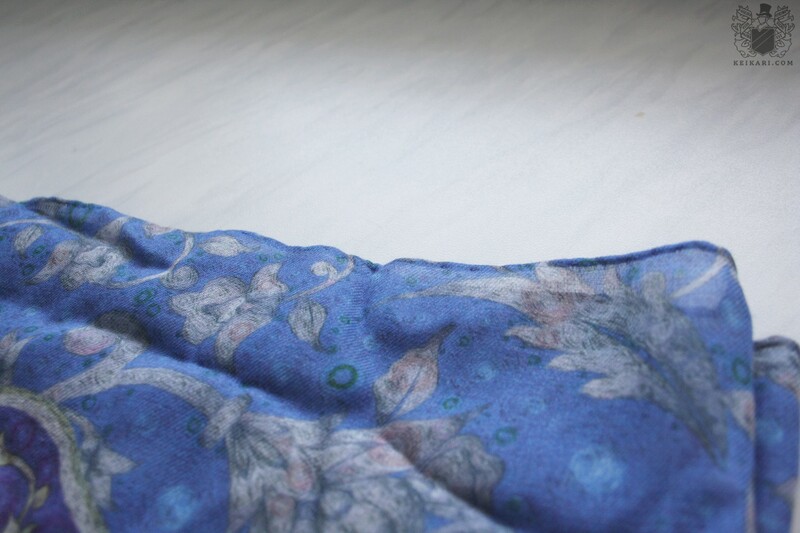 The company sent over a handkerchief and a scarf for presentation. Mr Brovchenko tells me about their origins, “R. Culturi was a way to fuse classical men’s and women’s styling with art and culture. After having moved from the U.S. to Europe, I began to travel quite a bit. I visited countries across Western Europe, Eastern Europe, and Eurasia and immersed myself in learning about the history, language, and culture of the peoples from the various cities and countries. My wife was already much more well-traveled than I. As for the selection process, he continues: “You needn’t be a scholar of art history or a critic to appreciate art. We feel that art is anything that elicits an emotional response and curiosity from the audience. Hence, rather than contacting well-known or ‘popular’ artists, we decided to search for talent from places that may not be on the map in the global art scene. It’s difficult to build a name for yourself in cities like New York, Paris, London, or Tokyo. But what about if you’re from Lviv, Iloilo City, or Yerevan? Artists from these places have no less talent than those from mega-metropolises, yet they have significantly less potential reach. Thus, we went about searching for artists from these types of places via forums, online art portfolio websites, and word-of-mouth. The criteria we used in our selection was simply whether the work was interesting, unique, and spoke to us in some way. 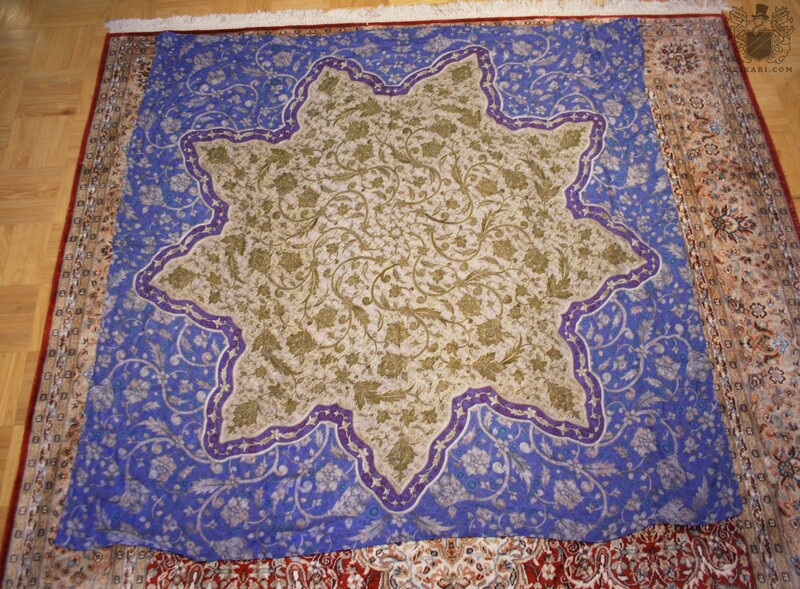 We also had to be mindful of how their particular style would translate to printed fabric. 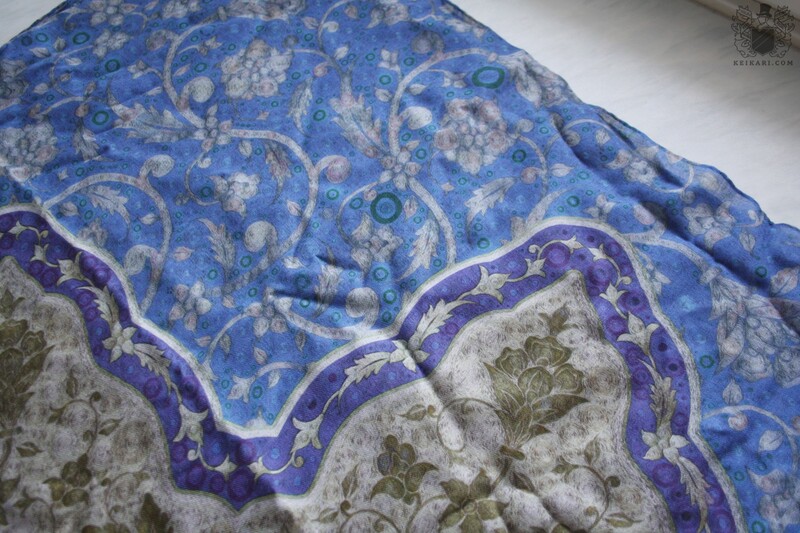 In terms of manufacturers, we sampled a dozen different silk and textile printers throughout Europe, the U.S., and Asia. Once we finally found our manufacturer in Como, it was clear that their work and attention to detail was leagues above that of anybody else. 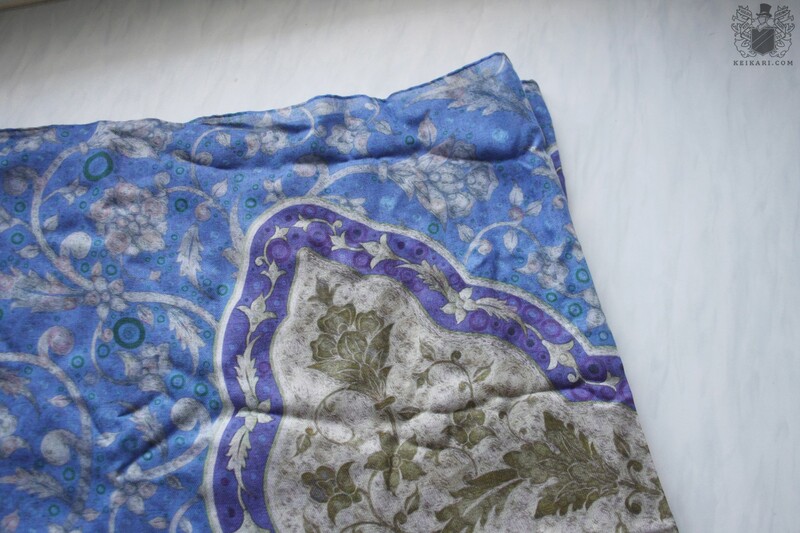 They’re a small, family-owned mill that’s been in business for over 40 years, surviving the ‘fall’ of Italy as the world’s foremost silk manufacturer and printer. They, more than anybody else, were able to translate designs that were painted or hand-drawn onto fabric without losing the essence of the original artwork. Finally, I asked why Keikari’s readers should have a look at RC’s wares: “Great question. At the end, it comes down to whether something speaks to you or not. There are many well-made, beautifully designed accessories out there, but we want our customers to not only purchase something because they thought it looked nice or matched well with their outfit. We want our customers to have some sort of a connection to the accessory and to feel that they are participating in a living artist’s story. 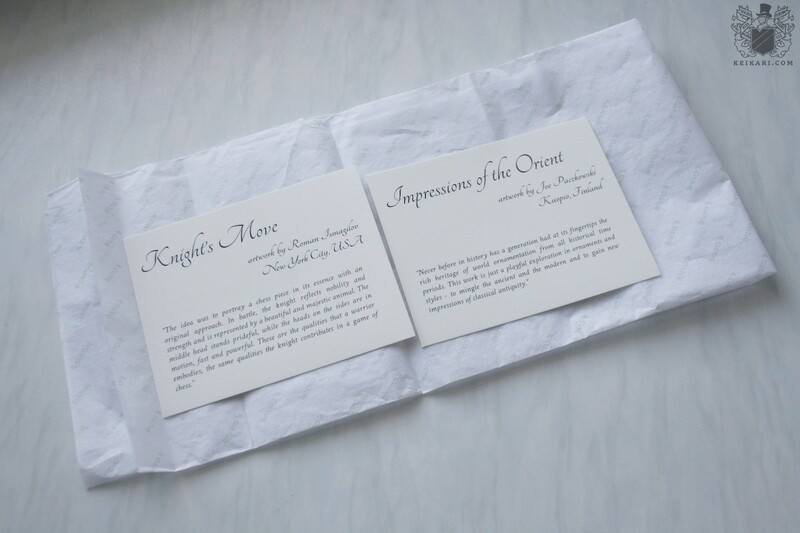 Maybe you bought it because you loved the design, but didn’t realize the concept until you received the package and read the card included with every pocket square, tie, and scarf.